Operating System: The both came with Android 6.0 Marshmallow. 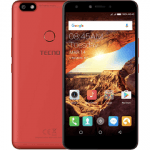 Processor and GPU: The Tecno Camon C7 has a 1.3GHz quad core processor while the Tecno Camon C9 has a processor of 1.7GHz Octa core processor. Dimension and Weight: The Tecno Camon C7 has a dimension of 142.1 x 71 x 5.4mm, while the Tecno Camon C9 has a dimension of 153 x 76.4 x 10.35 mm. 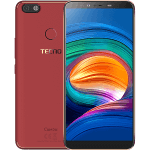 Display: The Tecno Camon C7 has a screen size of 5.0 inches with resolution of 1280 x 720 pixels while the Tecno Camon C9 has a screen size of 5.5 inches with a resolution of 1920 x1080 pixels. Battery: The Tecno Camon C7 has a battery capacity of 2500mah while the Tecno Camon C9 has a battery capacity of 3000mah. Memory: They both came with a RAM of 2GB and an internal memory (ROM) of 16GB. Camera: They both came with a back/rear camera of 13.0MP and a front camera of 13.0MP. Sensors: They both have the same sensors, Light, Proximity and G-Sensor.